Nill Wallpaper: Don't hurt me, please. Minitokyo »	Nill Wallpapers » Nill Wallpaper: Don't hurt me, please. Imposed to render the raster effect, duplicated the layer and colored eyes and hair. Browse Nill Gallery: Recent | Popular. 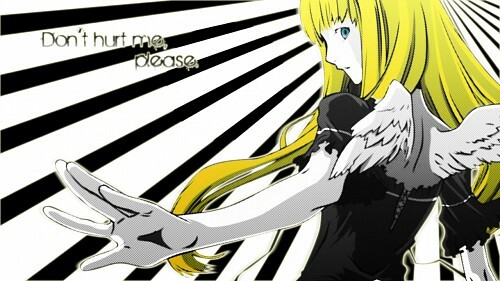 Dont Hurt her~~! I love her so much ~~ Modern Arts~! Well to be perfectly honest, i think i get it !